Reminiscing the 7th Sunrise Fest! and Hey! the 8th Sunrise Fest is here! 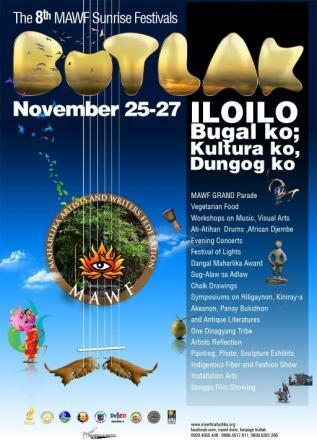 The 8th Maharlika Artists and Writers Federation (MAWF) Sunrise Festival will be celebrated in the Province of IloIlo. I’m sure the national coordinating council and local organizers are preparing for the best Sunrise Festival to date. I expect more ethnic vibes, positive thoughts, spirituality and creativity flourishing in the horizon. With our Ilonggo brothers taking the lead, the BUTLAK celebration will, like the previous Sunrises, again capture our soaring imaginations and like wildfires ignite the supramental and subliminal layers of our mind. I offer my positive vibes and good intentions to all the organizers of the 8th MAWF Sunrise Fest IloIlo! But before I write more on the 8th Sunrise fest, allow me to write a couple of notes on the 7th Sunrise Fest. 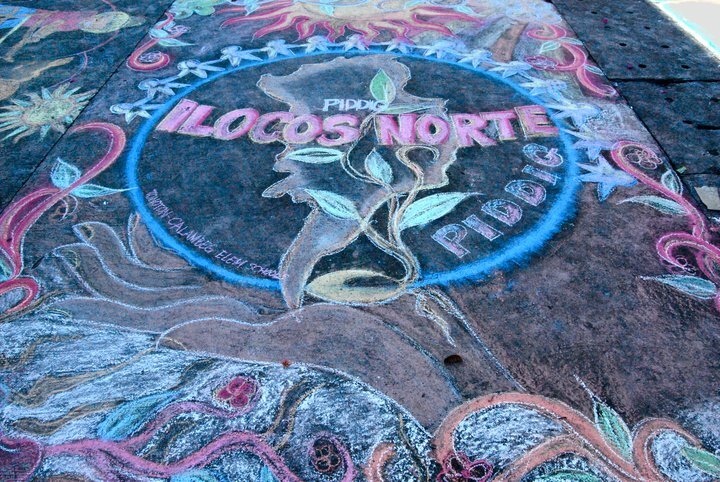 The 7th Sunrise Festival dubbed as Ylocosining: Hidden Treasures of the North was celebrated in the province of Ilocos Norte last year. 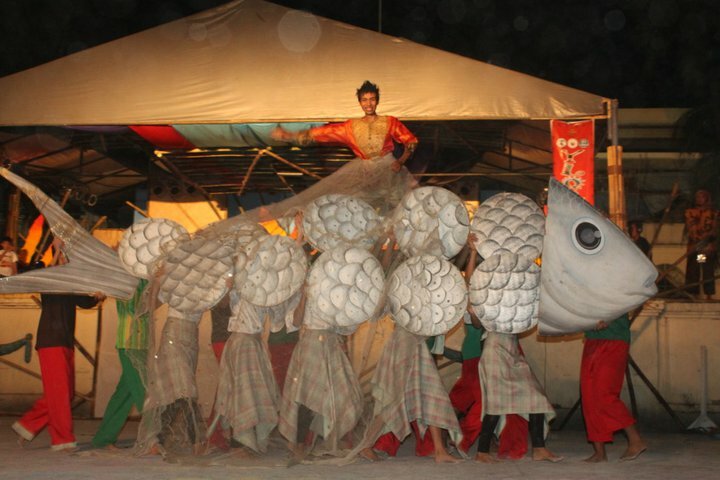 From Nov. 24-28, the fest was staged in five different venues namely the municipalities of Badoc, San Nicolas, Pagudpud and the cities of Laoag and Batac. The fest partnered with more or less 50 organizations (local, national and international). Positively endorsed by the Regional Development Council and the National Economic Development Authority of Region 1, the provinces of La Union, Pangasinan and Ilocos Sur supported the holding of the festival in the Ilocos region. Similarly, the Regional Department of Tourism and Department of Environment and Natural Resources endorsed the same to the Local Government Units. The 7th Sunrise festival partnered with Ilocos Norte Governor Imee Marcos, the Provincial Tourism Office then headed by Mr. Jogie Jimenez and the Ilocos Norte Investment Center. The Laoag City Tourism Development Council headed by Hon. Chevylee Farinas and Mayor Michael Farinas of the City Government of Laoag provided substantial assistance to the success of the five-day arts and music festival. Mayor Jeffrey Jubal Nalupta of the City of Batac, Mayor Arlene Torralba and Vice-Mayor Tom Torralba of the municipality of Badoc, Mayor Alfredo Valdez Jr. of the Municipality of San Nicolas and Mayor Matilda Sales of the municipality of Pagudpud lend a hand by sponsoring events in their respective ‘municipios’ and hosted the 400 creatives- festival participants. Higher Education Institutions like Northwestern University, Divine Word of College of Laoag, Northern Christian College and Mariano Marcos State University, the University of Northern Phillipines also extended significant support and sponsored university based, school arts, music and dance workshops. 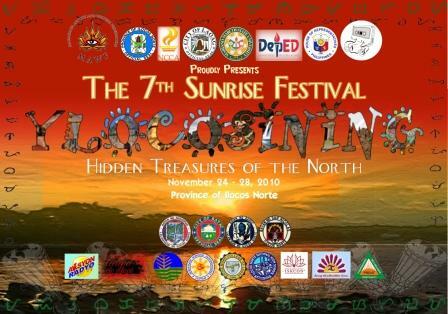 The Provincial Government of Ilocos Sur headed by Governor Luis Chavit Singson, a former National Security Adviser, Governor Amado Espino Jr. of the Provincial Government of Pangasinan and Governor Teodoro Baguilat Jr. of the Provincial Government of Ifugao supported the 7th Sunrise Fest by sending a combined delegation of 150 artists, cultural workers, professors, students and tourism officers. The Provincial Government of Isabela, Nueva Vizcaya and Cagayan initially confirmed their participation by sending a minimum of 60 delegates per province but later cancelled due to the Typhoon Pepeng aftermath. 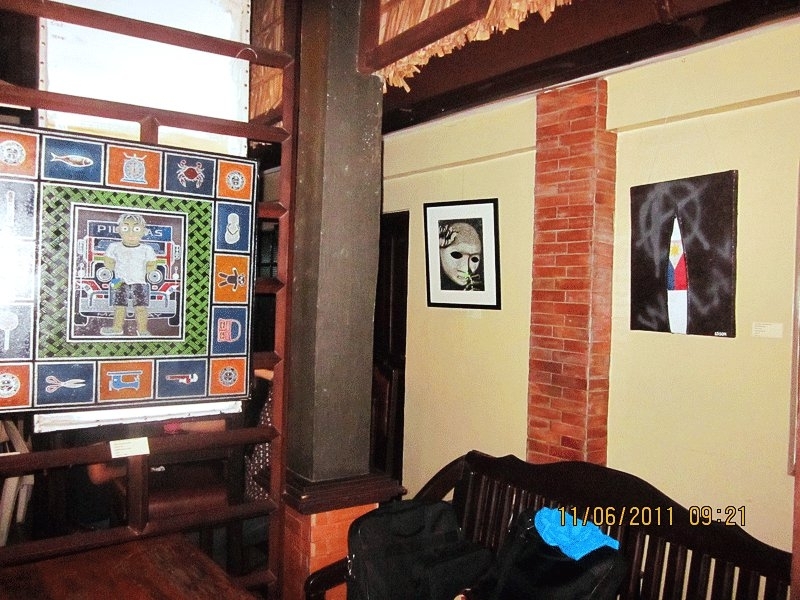 The National Commission for Culture and the Arts sponsored Palawan based artists. 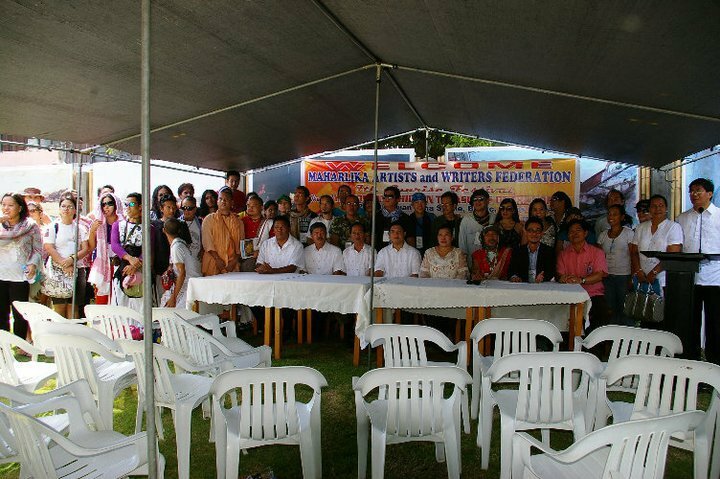 The Office of Congresswoman and former First Lady Imelda Marcos also supported the event. 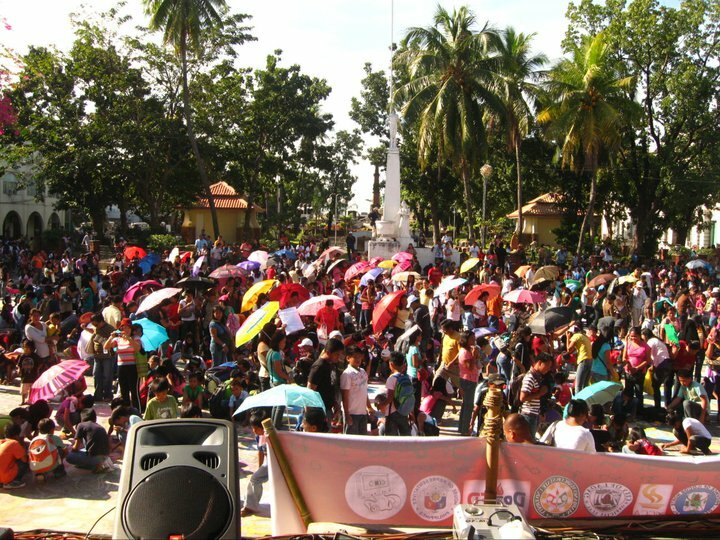 The support of the municipal government of Paoay through Mayor Bonifacio Clemente Jr. was also considerable. Non-government organizations such as the SILNAG Arts Guild and The Ilocandia Photographic Society helped us in the visual arts and photography exhibit at the Laoag City Auditorium. The local media’s participation like DZJC Aksyon Radyo, DWFB Radyo ng Bayan, Bombo Radyo, DZEA a catholic mass media production, Ilocos Times and TV Patrol Ilocos, a local ABS-CBN news and NBN News team was magnificent. Northern Spin Productions sponsored the Sunrise festival media mileage. The Provincial, City and Municipal Philippine National Police provided police assistance and security participants and delegates for five days in different events and venues. Fire trucks and fireman were also stationed for the evening events. First aid assistance and security escorts were also provided by the Department of Public Safety of the City Government of Laoag and Provincial Philippine National Police. 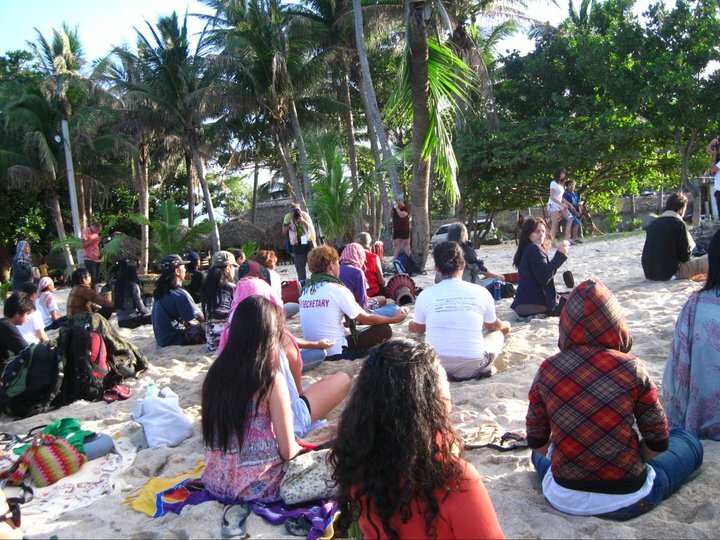 The Ananda Marga Yoga Society and International Society for Krishna Consciousness and the MUSIKA group rendered substantial contribution, volunteers to the 7th Sunrise Festival. Building up by the day, a total of 2, 700 artists and writers consisting of musicians, visual artists, tourism officers, professors, students, spiritualists, free lance writers, poets, book writers, photographers, bloggers, children artists, event organizers, teachers, local government officials, civil servants and government employees,etc. participated in the event. Not to mention, the participation of the public and the Ilocanos. The festival was launched at the Juan Luna Museum, the birthplace of the Greatest Maharlikan visual artist and painter Juan Luna at the Juan Luna Museum. Followed by a music workshop in the afternoon at the World Peace Center of the City of Batac. A brief tour in the municipality of Paoay, cities of Batac, Badoc and Laoag in the afternoon was arranged. 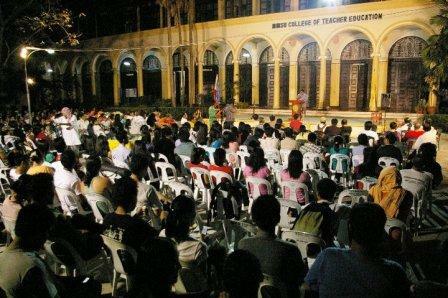 In the evening of November 24, the Center for Iluko Studies of the Mariano Marcos State University hosted the Ylocosining Poetry and Literature Night. 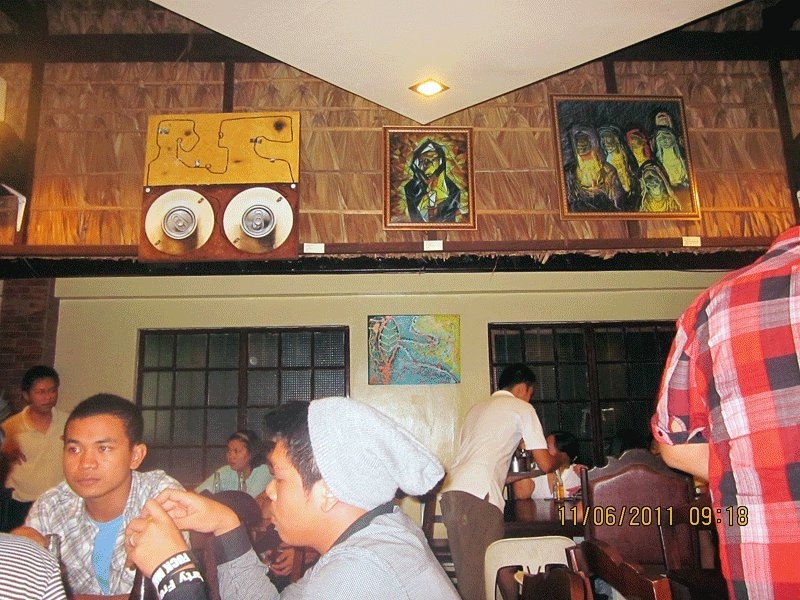 The poetry night had a lot of notable Ilocano poets, politicians, guests and visitors. 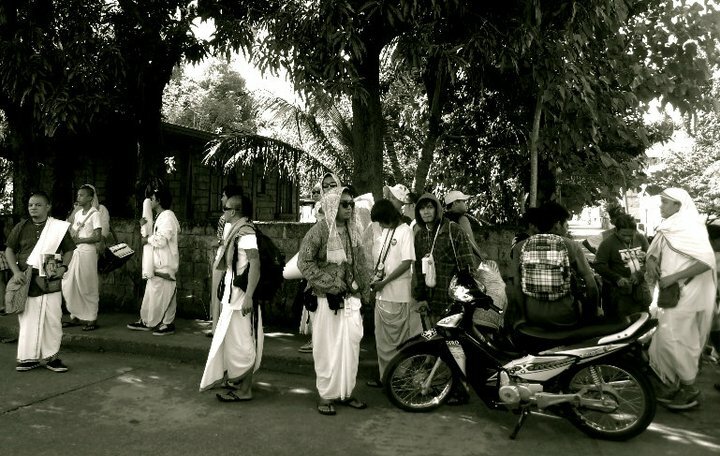 At dawn, an ephemeral art exhibit at the Padsan River was held. 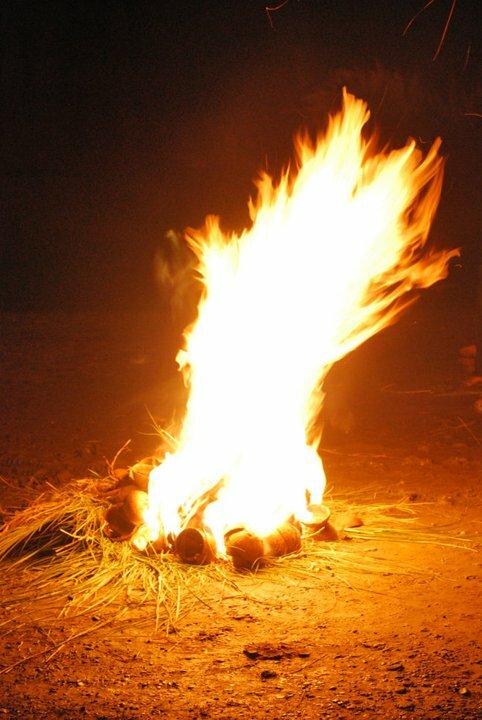 Burning hundreds of coconut lights, the artists demonstrated the festival of Light or “Laoag” (meaning “bright light”) . 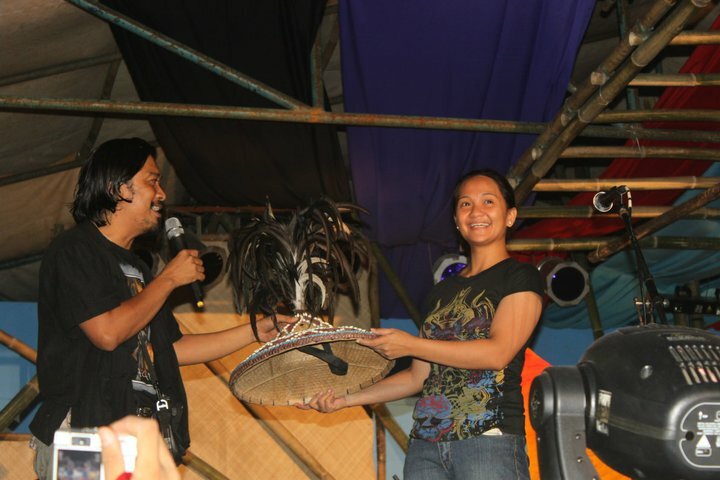 A local ABS-CBN news crew and local photographers came to document the event on November 25. 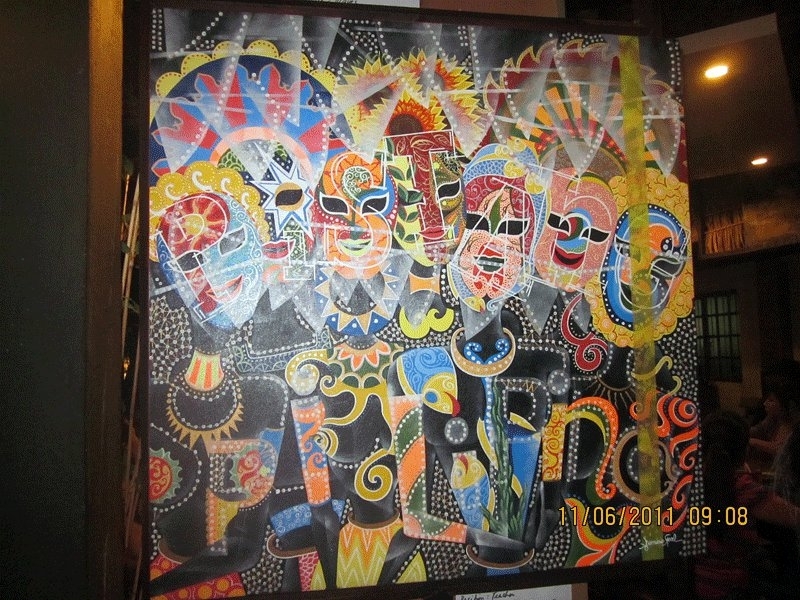 On the same day, the Saringit Visual Arts and Photography Exhibit was launched at the Laoag City Auditorium. There were more or less 70 visual artists, sculptures and photographers all over the country exhibiting in the event. Laoag City Vice-Mayor Eddie Domingo and City Administrator Perry Martinez of the City Government of Laoag represented Mayor Michael V. Farinas as the MAWF and TIPS group and other guests opened the exhibit. 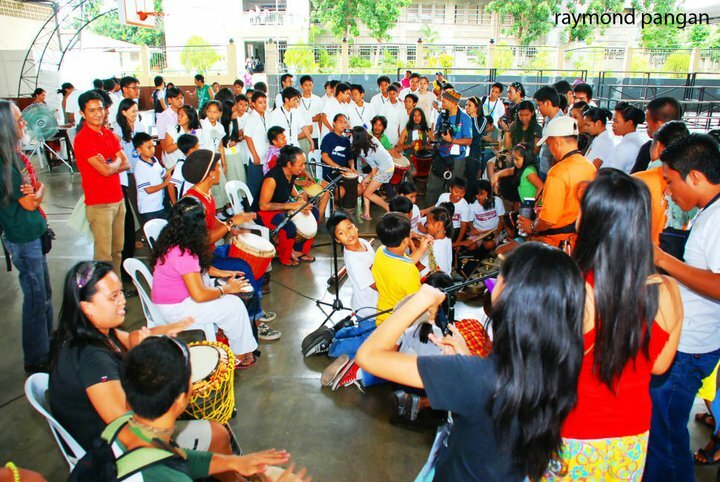 In the afternoon, a workshop on djembe and world music and inner and creative dance were held simultaneously in two different venues, namely the Ilocos Norte National High School School for the Arts and the Divine Word College of Laoag. Ephemeral Art Exhibit at the Padsan River. Festival of Light at the Sunshine City. Photo by Alaric Yanos 2010. 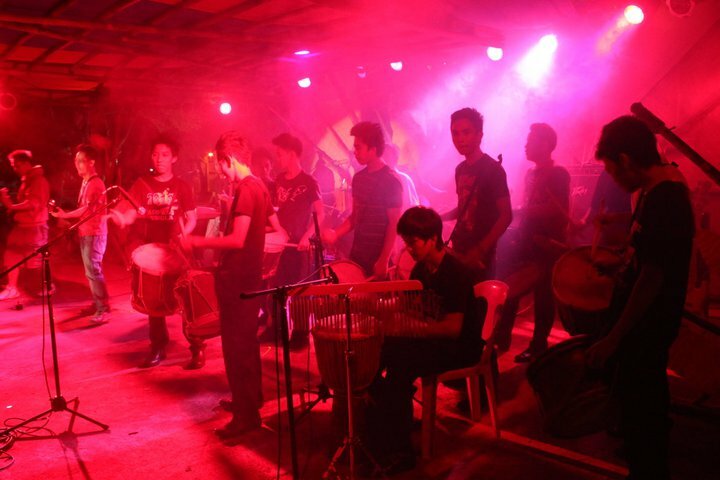 The workshop was facilitated by the Pangalay Arts Circle, Pasta Groove for the Inner and Creative Dance and Kawangis ng Tribu for the Djembe World Music Workshop. 500 students, teachers, local musicians, mchoreographers attended the workshops. 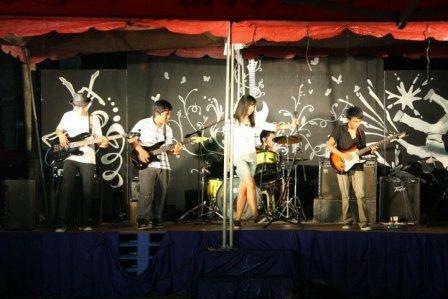 In the evening, the Ylocosining Rock Night was staged at the the Batac Imelda Cultural Center. 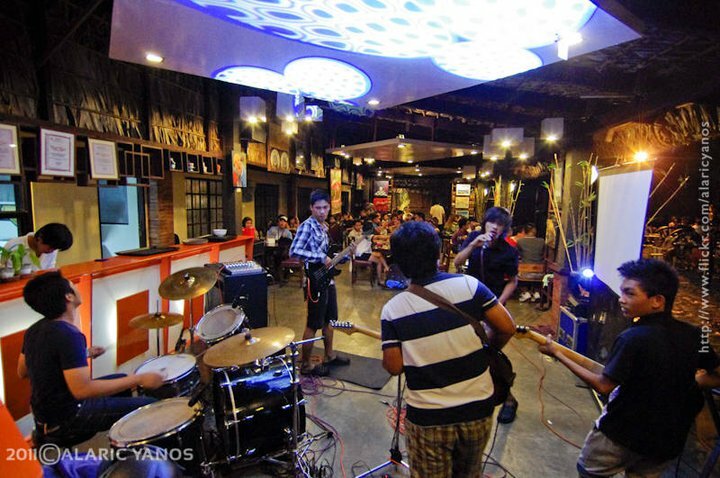 A total of 17 bands, solo performers and duos performed in the rock night. The event was graced by the mayor of the city Hon. Jeffrey Jubal Nalupta. 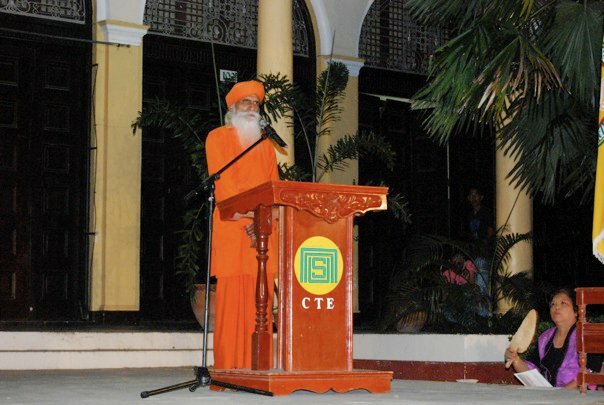 On November 26, a health and wellness lecture was facilitated by Dada Dharmavedananda at the Provincial Capitol Auditorium. The Provincial Government of Pangasinan and MAWF participants attended the lecture. 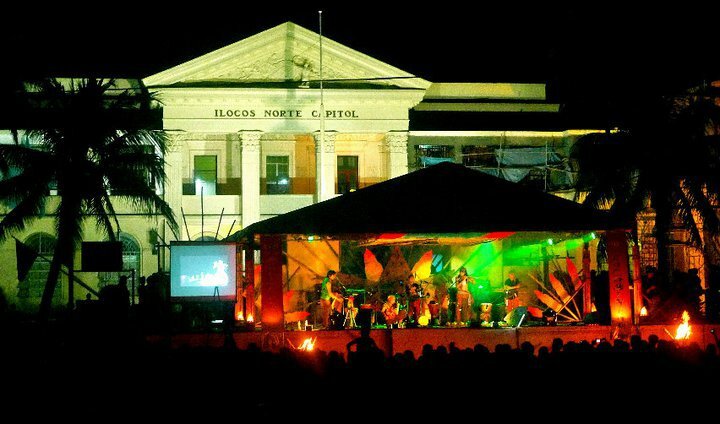 In the evening, the Ylocosining Folk and Acoustic Music Night was held at the San Nicolas Old Plaza. Mayor Alfredo Valdez Jr., municipal mayor of San Nicolas graced the occasion by delivering a message. 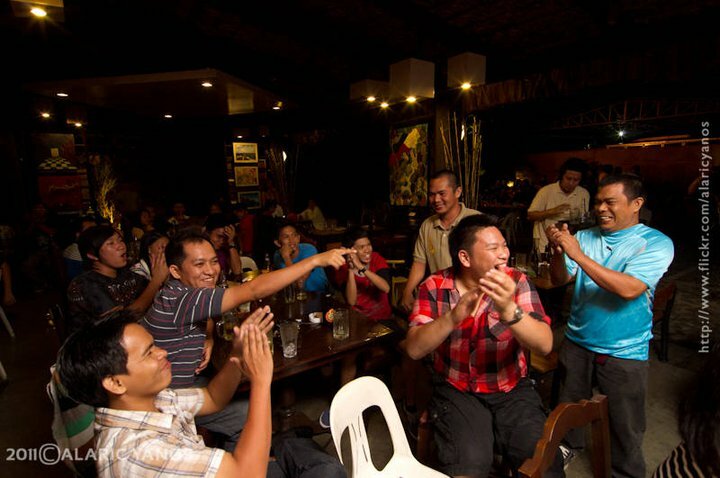 He brought with him the San Nicolas all Male Choir and rendered three Ilocano songs. Dada Dharmavedandanda Avadhuta gave the invocation. Ilocano hitmakers and folksingers also sang along with MUSIKA group folk singers and world musicians. The Philippine Education and Theaters Arts Society of Laguna presented a short play that evening. 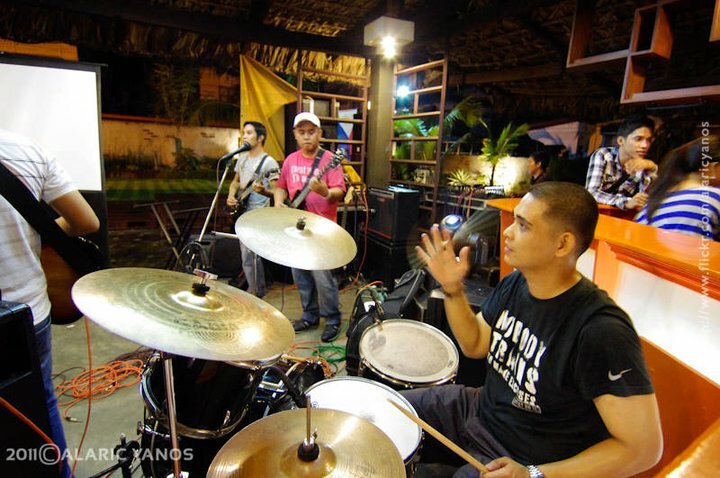 The Ylocosining Folk and Acoustic Music Night was sponsored by the Municipal Government of San Nicolas. 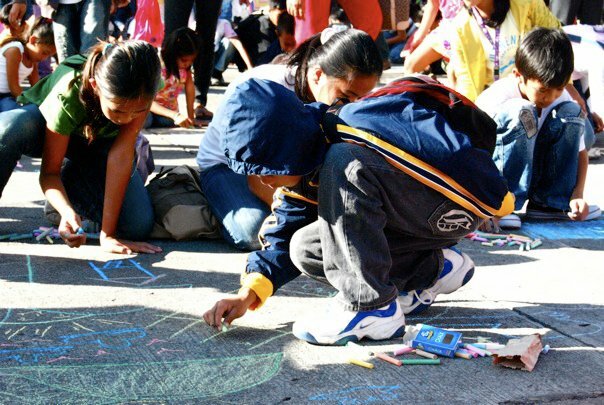 On November 27 in cooperation with the Department of Education of the Province of Ilocos Norte and the City Government of Laoag 2,500 children ages 6-12 years old and teachers participated in the 1st BUNUBUN Children Street Art at the Rizal Street, Provincial Capitol Ilocos Norte. Penpen at the Sunrise Acoustic Night in San Nicolas. Photo by Janet Balbarona 2010. Countless suns were drawn in the national highway. The Provincial Superintendent Dr. Cecilia Aribuabo delivered a message and the Department of Education attended, together with MAWF facilitated the event. Didi Ananda Shubrha gave a brief message on Neo-Humanist Education. 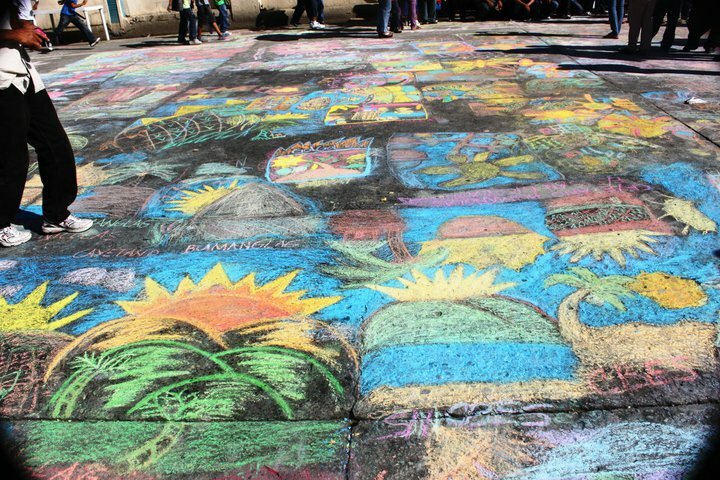 Hundreds of Suns, massive children arts were displayed. 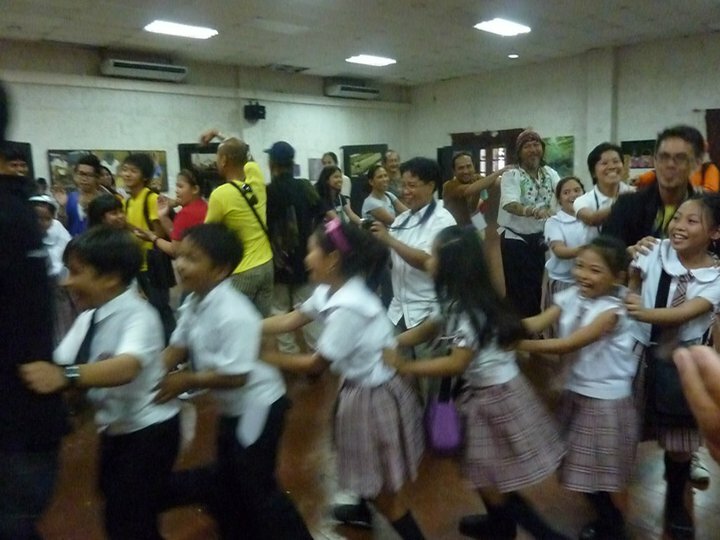 The participating children and teachers also visited the Saringit Visual Arts Exhibit. 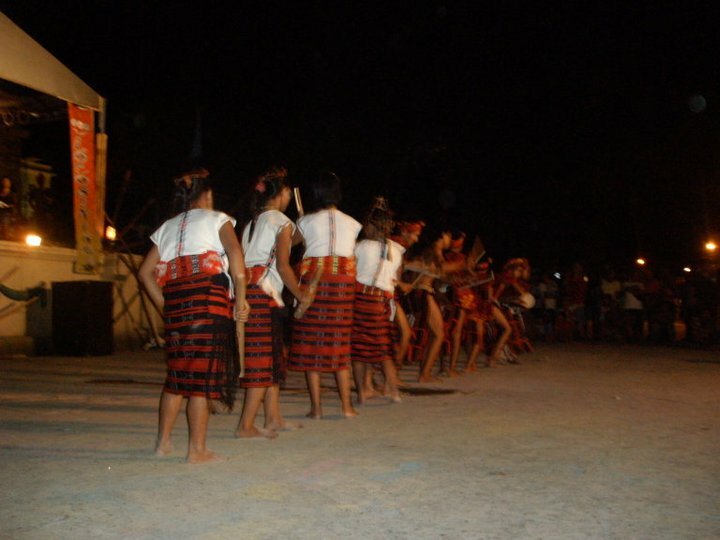 In the evening, the Ylocosining Singising Cultural Night was held at the Provincial Capitol Stage. Various artists, bands, solo performers, cultural group from Manila, Cebu, Iloilo, Davao, Pangasinan, Ifugao, Baguio, Ilocos Sur, Cebu, Ilocos Norte among others performed. 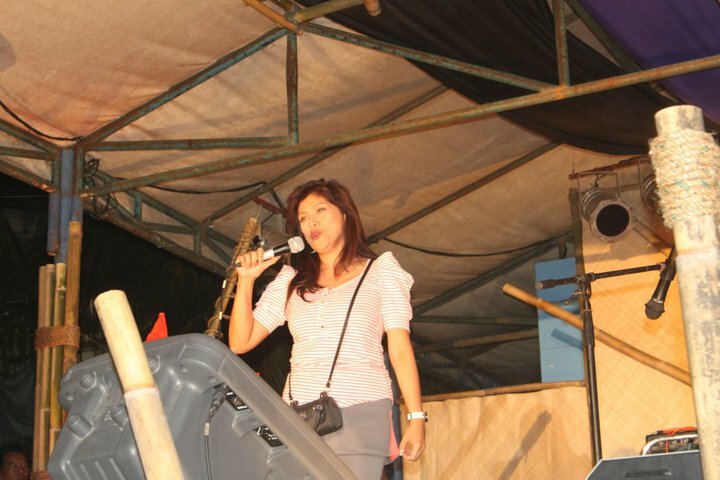 The Governor of Ilocos Norte Imee Marcos, the daughter of the late President Ferdinand Marcos was the Guest of Honor. 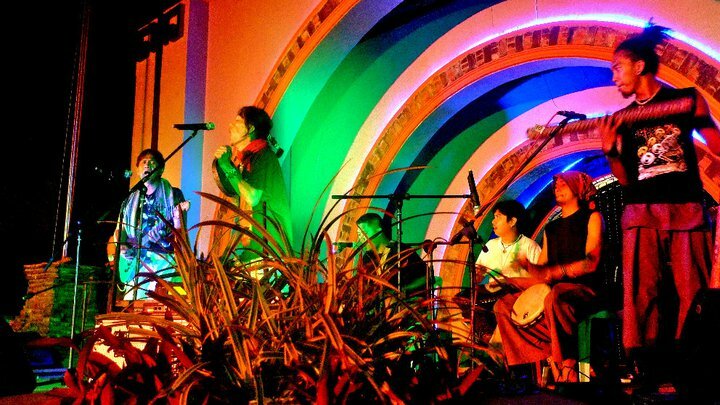 The awardees of the 7th Sunrise Festival were announced and received that evening. Ms. Judy Cruz, Nona Ganal, Jan Michael Laglit Tauro, Department of Education, Unitiima and the Sunrise Child of the Year were the awardees. 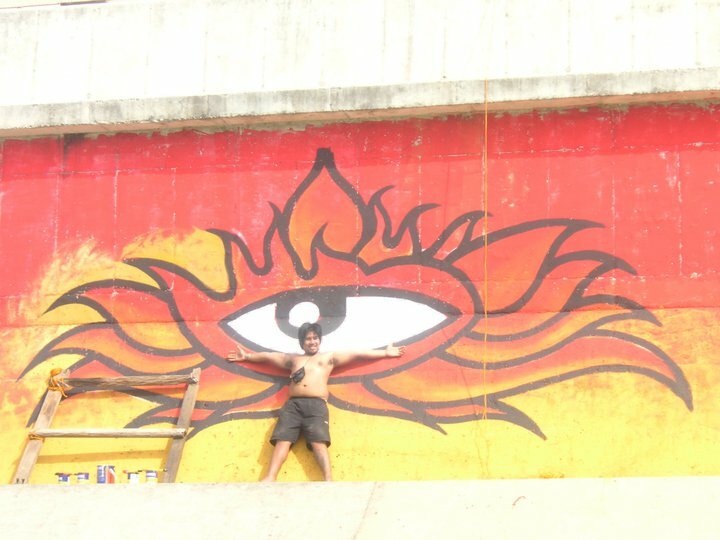 Sunrise Mural Painting at the Riverdike. 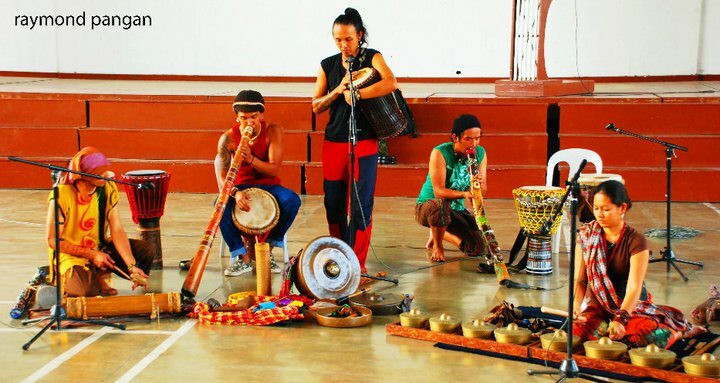 On November 28, the Sun Salutation meditation, a workshop on djembe and the 7th Sunrise Fest closing ceremonies was held in the municipality of Pagudpud. Mayor Maja Sales of Pagudpud sponsored the event. In her absence, the Chairman of the Committee on Tourism of the Sangguniang Bayan of Pagudpud and Harold Sadornas, municipal tourism officer represented the good mayor. Afterwhich, the participants ate, swam and enjoyed the serene beaches of Pagudpud. The 7th Sunrise Festival Executive Director Shermon Cruz, Momo Dalisay and Deo Palama, President and National Coordinator of MAWF respectively thanked the participants for their sacrifices and support to the 7th Sunrise Festival, its sponsors, supporters and partners. The closing ceremony was covered by the local media. Ms. Judy Cruz received the MAWF's Volunteer of the Year Award 2010. Sunrise Festival Launch at the Birth Place of Juan Luna. Playing and Dancing at the Saringit Art Exhibit Launch. Tonya Wyatt 2010. 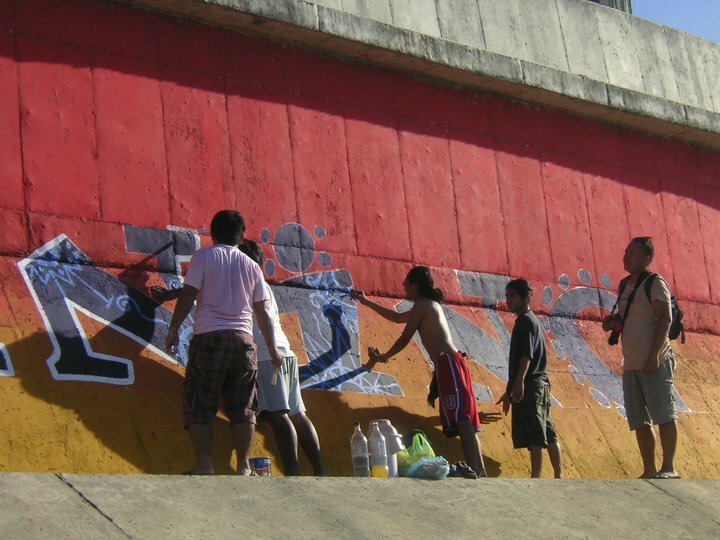 Mural Painting at the Laoag River Dike. 2010. Alaric Yanos. Acarya Sumitananda Avadhuta welcomes the participants of the MAWF Sunrise Fest Poetry Night at the MMSU, Laoag. Photo by Christopher Gouache 2010. Poetry Night at the Mariano Marcos State University. Photo by Christopher Gouache 2010. The MAWF Organizers and Former First Lady and now Congresswoman Imelda Marcos. Djembe Workshop at the Divine Word College of Laoag. Closing Ceremonies and Photo ops in Pagudpud . 2011. 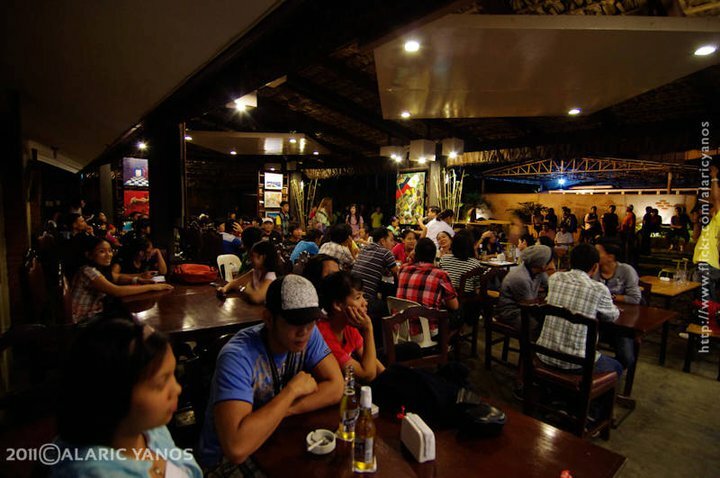 The blogger would like to thank Unlimited Ilocos! It was a night to remember! The special feature is a masterpiece! So sincere! To all who came and made the AK-PID Celebration possible! Cheers! We had a KKK + K in 2011. Kasaysayan (history). Kamalayan (awareness). Kalayaan (independence/freedom). KaARTehan. 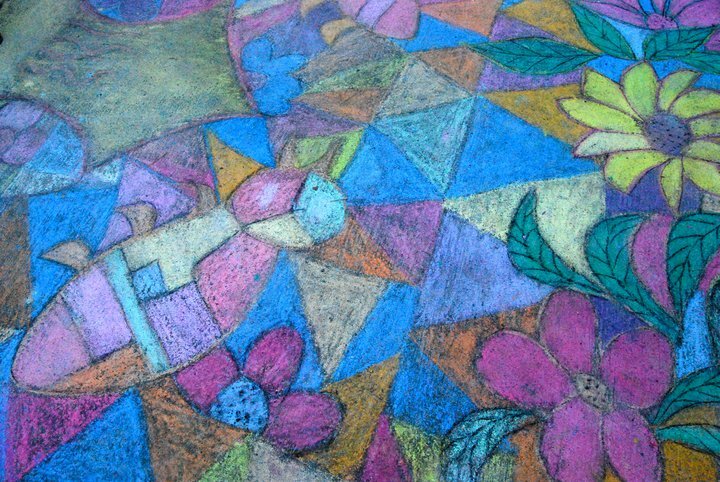 Using visual arts and music as a medium, we converged to underline arts in social change and national transformation. 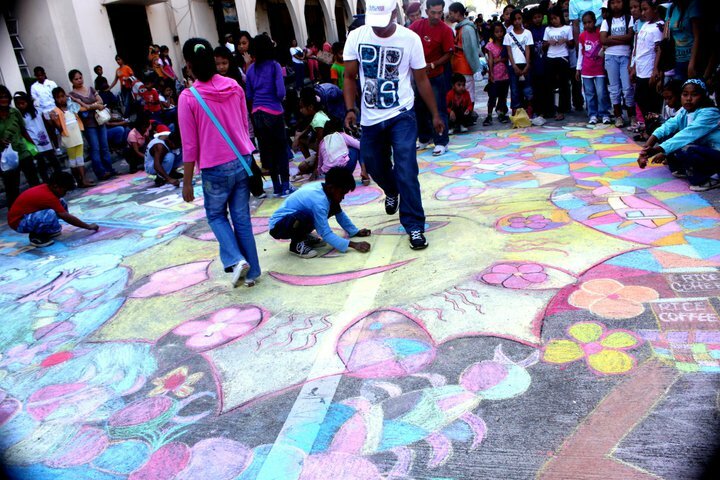 The role of arts is essential to social engagement, volunteerism and community. 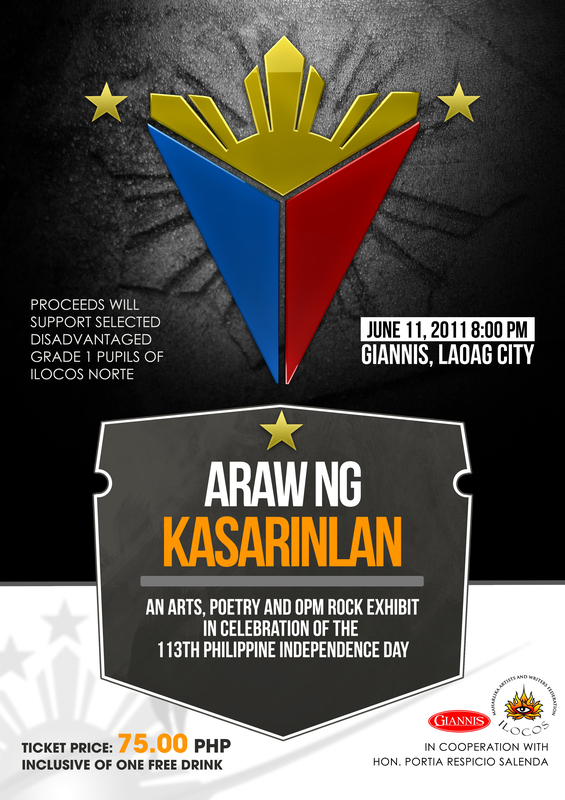 The celebration of the 113th Philippine Independence Day obliged us to organized the Araw ng Kasarinlan: An Arts, Poetry and OPM Rock Exhibit last June 11. 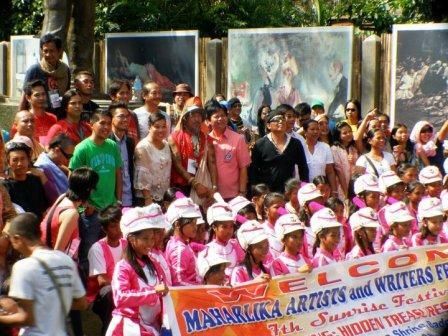 Organized by the Maharlika Artists and Writers Ilocos in cooperation with Giannis and the Office of Hon. 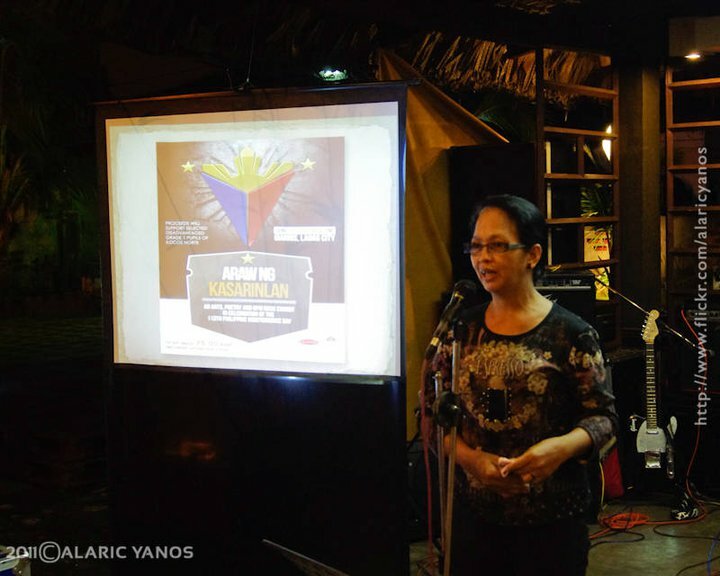 Portia Salenda, Board member and Chairman of the Committee on Tourism of the Province of Ilocos Norte, the AK project succeeded in facilitating the arts and music independence day project. 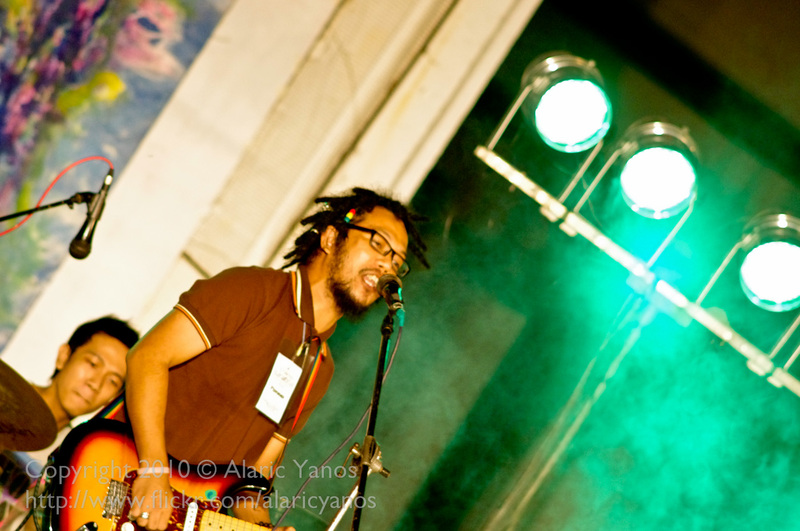 The AK event featured the works of promising artists in the visual arts and local rock Ylocos. 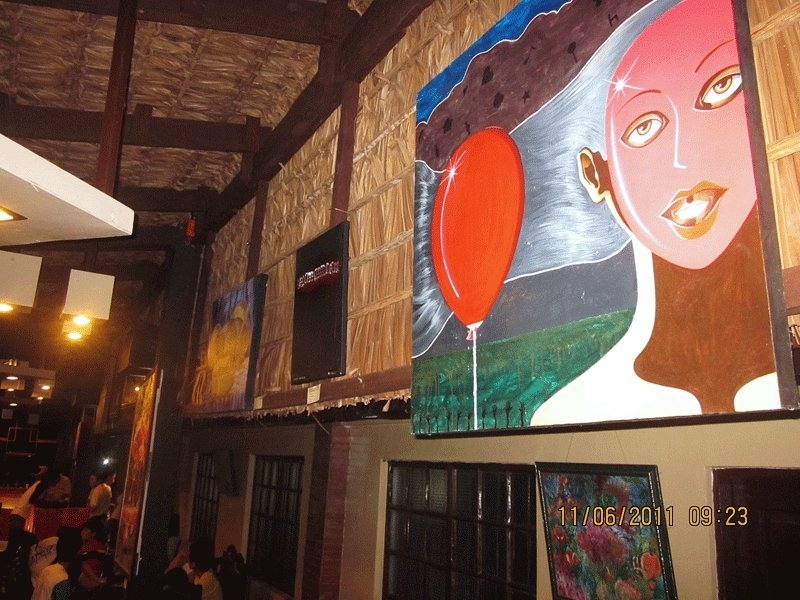 Held at Giannis Resto, about 30 art works were exhibited and 7 local bands performed. The Shotpoof production also launched its Twigs and Stones short film project and a local environment advocacy group, the Green Ilocos Norte Network and Advocacy Inc had a ‘powerful’ point presentation. 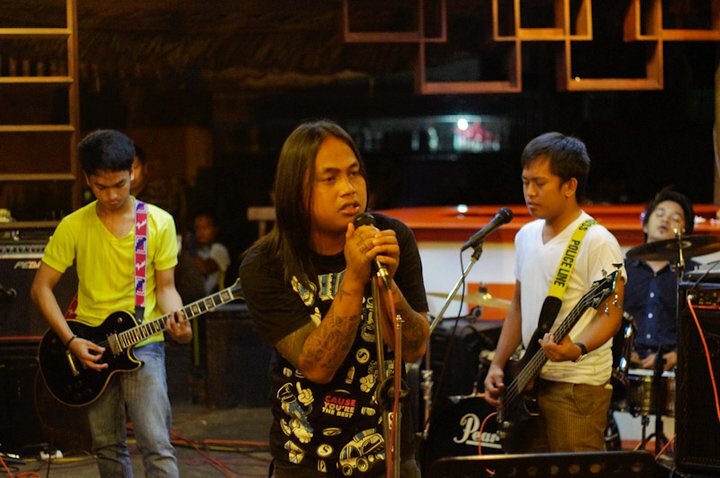 The bands Proyekto, Afterfive, Dominant, Bonamanok, Bear and Bones played a a lot of OPM rock and orig songs. Vigan based bands also came to strut the evening. The art works of Juan Tulas, John Louie Rivera, Wilhelmina Impat, Rionell Victor Rivera, Jelhelmina Real, Basilio Rea, Arao Salamat, Jasper Andres, Richard Quebral, Emil Querobin, Mark Tandayog Darwin Yadao, Joriel Guerrero and Jefferson Baclig were featured in the evening. The Ballasiw Unlimited Production, an Ilocos based video production group, featured the event in a special video documentary project of Unlimited Ilocos. The special feature was aired for a week in a local cable TV. The proceeds of the AK event will also benefit selected disadvantaged schools in the province of Ilocos Norte. The local organizers is currently coordinating with a school in the Municapality of Vintar as beneficiary of the AK’s Arts for Children Empowerment project. The organizers would like to thank Bokal Portia Salenda, Alaric Yanos of iclick photography, Jonathan Lafradez, Humanities students of Northwestern University, Green Ilocos Norte Network and Advocacy Inc., Proyekto, Hymnus, Judelyn Cruz, Sherry jane De Lira, Juan Tulas and John Rivera, MAWF National, Terry Flores, facebook friends, Unlimited Ilocos, etc. To all, Dios ti Agngina! See you again next year! Music is a purely psychological construct. It exists only in our minds. 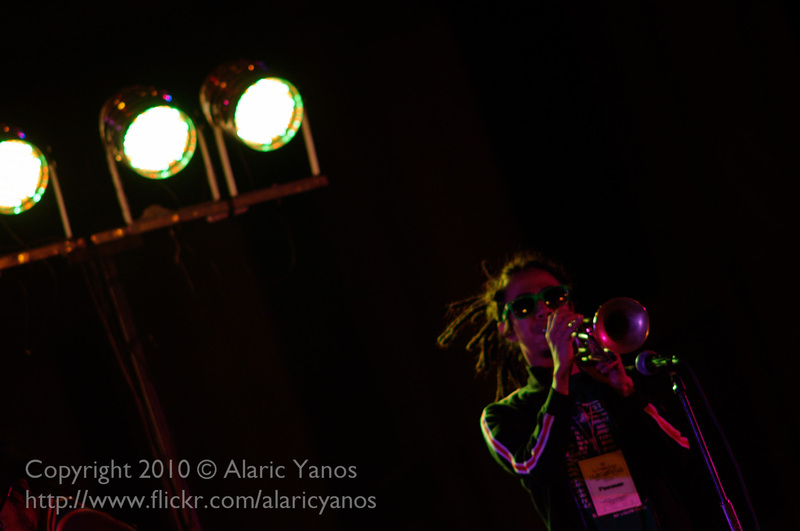 Loudness, pitch, timbre, tone, reverberation, rhythm and melody according to Daniel Levitin, the author of the World in Six Songs, are not just mechanical elements but are higher order concepts with a ‘deep, neurological basis.’ As a matter of fact, neuroscientists think that our brain react and interact with music. These assumptions become more evident when we sing the melodies that are most salient in the mind. According to the experts, music can alter mental and emotional states, perception, and consciousness. Last night, I was able to attend the event staged by Big Box Productions, an Ilocos based events organizing group, dubbed as Ylocos Bands at the Dawn of Peace Battle of the Bands contest. Oh! It’s a battle of the bands contest. My ears usually sound out every time I hear the word battle. For this purpose, I will call this type of rock gala as B-O-B. That would be my acronym for Battle of the Bands contest. Big Box is a production group that aims to provide young prospects the stage they need to showcase their fav genres music. Salus Tiedra, a budding local artist and guitarist, organized the group and kudos to his efforts for making it possible. Organizing rock events is pretty mind-numbing unless you have the ‘itch’ for it. As I arrived at the Bistro at around 10pm, I noticed a flock of youth that colonized the venue. The atmosphere was great and you can almost smell the sonic vibrations stacking at the cafe. The genre of music was not the usual I will entertain you as gobble up your liquotine to distress you, what moved me was the uproar that made the rhythms of rock and roll a dangerous thing in the 1960s. The distorted sound that blanketed the ambiance and the bang of percussions abundant that night can actually augment the senses. This rock and roll hubbub was actually what the Catholic Church tried to ban for the fear that people would doubt the unity of God. The polyphony and the musical interval of an augmented fourth, a key prominent in rock and roll music was believed as diabolical that the Church labeled it as the Diabolus in musica. These assumptions are now but ridiculous and silly. In 2010, Pope Benedict also known as the Brit Pope would include rock artists in the list of Vatican’s Top Ten of essential listening. The Vatican’s official newspaper L’Osservatore Romano said that Oasis were the protagonist of the 90s Britpop and described the album What’s the Story Morning Glory as a masterpiece. Said paper also included Pink Floyd with their album Dark Side of the Moon and described it as extraordinarily enjoyable. Beatles Revolver album, Supernatural by Santana, FleetwoodMac and U2′ s Acthung Baby were in the list. Today, you have the Christian Rock genre. Now going back to the roaring subwoofers and raging reverbs, seventeen bands showed up and six bands qualified to compete on the 13th of August. Dubbed as the Ylocos Bands at the Dawn of Peace, the event begins even before the Lord Krishna blows his mighty conch shells at 4am. The bands Hymnus, Better than Noize, AfterFive, Shamisens and the Elements will be competing in the finals. For those who failed to make it, I am sure the experience will alter their conservative rock mental schema. They will improve and they will come back. To the frontrunners, congratulations. Keep it up! Keep the rock vibes flowing and minds floating!